Boyds, Md (Nov. 12, 2018) – Washington Spirit Academy – Maryland forward Jordan Canniff is ready to kick off the 2018 FIFA Women’s World Cup this week with the U.S. U-17 Women’s National Team. The USA kicks off a challenging Group C on Wed., Nov. 14 against Cameroon (12 p.m. ET), faces Korea DPR on Sat., Nov. 17 (1 p.m. ET) and wraps up the group stage against Germany on Wed., Nov. 21 (4 p.m. ET). All of the USA’s matches will be broadcast on FOX Sports 2. Canniff, a class of 2020 Penn State University commit, has scored 9 goals in 25 career games for the U.S. U-17 Women’s National Team, and is tied for third among the top scorers on the World Cup roster. 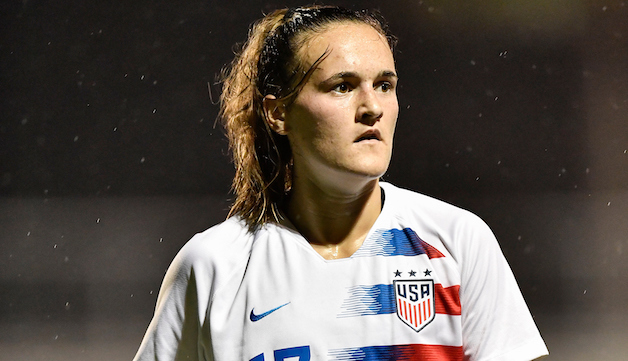 Before departing for the World Cup, the standout forward shared her thoughts on the challenges she has overcome coming back from injury earlier this year, and the opportunity she’s earned to represent her country in the World Cup.